Lindsay Lohan has been fired by her own PR Manager, Hunter Frederick, further demonstrating that she has no future in Hollywood, no matter how hard she tries to reinvent herself. 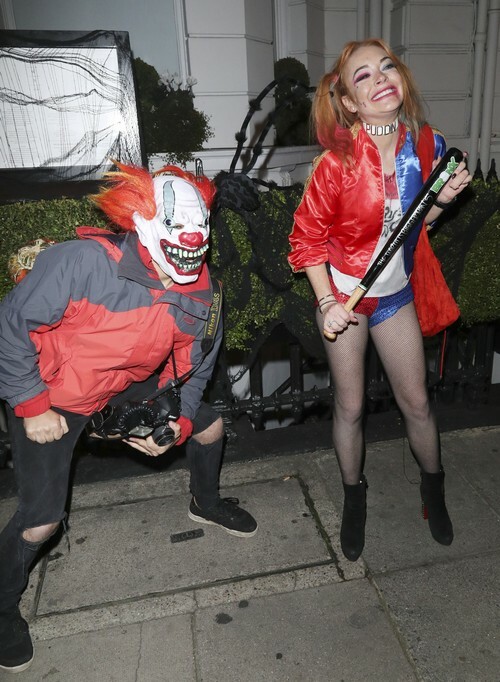 In fact, rumor has it that Lindsay’s long-time publicist Hunter Frederick – who has managed to stay by her side through the good, the bad, and the ugly – fired her during a particularly ugly fight that allegedly took place on Halloween. According to Page Six, things got heated when Lindsay Lohan and Hunter Frederick got into an all-out verbal fight over a potential news story that was supposed to make headlines the next day. Hunter Frederick has managed to weather Linday’s last few public storms, which also included her nasty break up from her ex-fiance Egor Tarabasov, who has been accused of domestic violence. At this point in her career, it shouldn’t be surprising that no one wants to work with Lindsay Lohan anymore. She’s proven herself to not only be irresponsible and untrustworthy, but someone who is simply not taken seriously in the celebrity world. Sure, she might still be getting offers to promote products on social media and make occasional appearances at store openings and red carpet events in Europe, but it’s safe to say that Lindsay Lohan will never find another job in Hollywood again. The former starlet can only go so far as a D-list celebrity and with no publicist willing to work with her, Lindsay will have a hard time not only making headlines but also defending herself, should we find herself in any compromising or unfortunate positions in the future. Then again, reports are that Lindsay Lohan’s life is such a delusional mess that she probably doesn’t even think she needs a publicist to begin with. As far as Lindsay is concerned, she can take care of matters in her own hands, no matter how big or small they might be. What Lindsay doesn’t realize though is there’s nothing more humiliating in Hollywood than being fired by your own publicist when in actuality, it should be the other way around. She’s so difficult to handle that people are refusing to even cash in a paycheck from her anymore. Do you agree? Check back with CDL for all the latest news on Lindsay Lohan. Michael Lohan Stages Intervention: Lindsay Lohan Calls The Cops! Tara Reid Slams Mean Girl Lindsay Lohan, Is She Jealous Of All Her Second Chances?